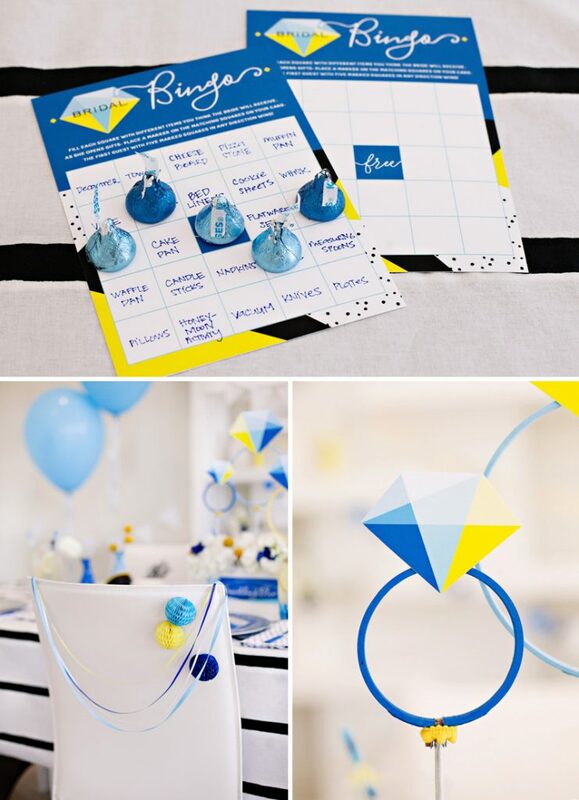 So… when I was recently asked to design a bridal shower theme for HersheyLands.com that incorporated some of their awesome new colored-foil Hershey’s KISSES in a creative way, it felt like the perfect chance to revisit the Something Blue theme and put a fresh spin on it all these years later. I kinda want to do this with all my old themes now! I hope you guys like how this one turned out… and there are lots of free printables for you to use if you’d like to recreate this look too. Click here to download them. 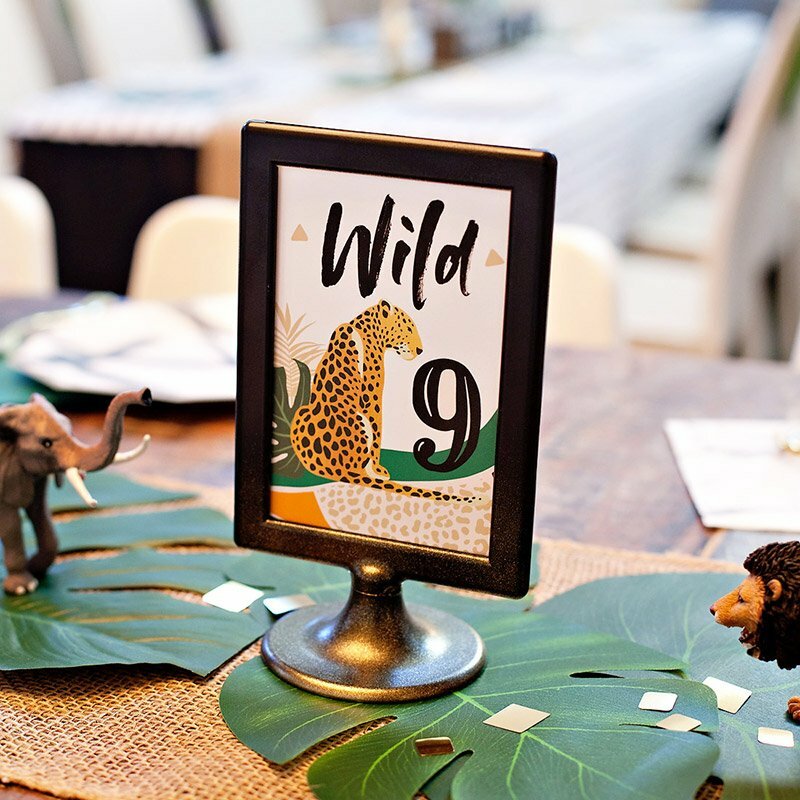 Give table place settings some (inexpensive!) geometric flair with octagon shaped premium plastic plates and printable plate liners. A special “Bride to Be” design will ensure that the guest of honor’s setting stands out. 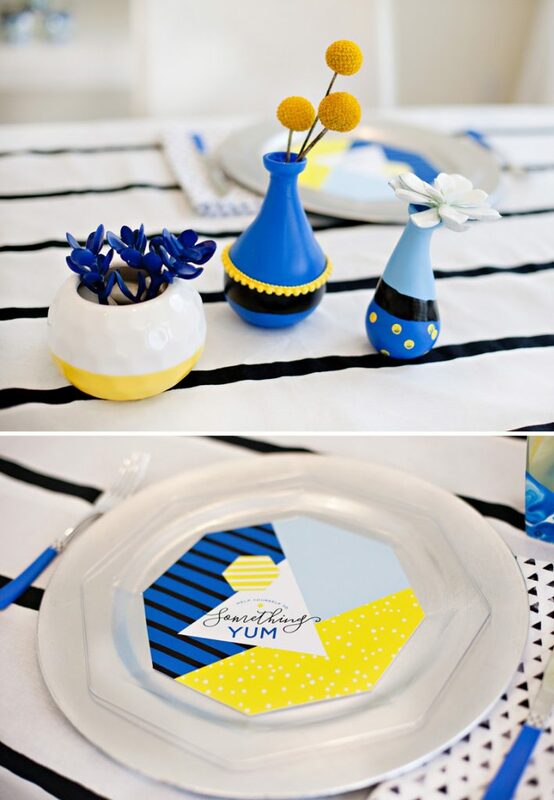 Use craft paint and patterned tape to give plain plastic utensils a party-ready makeover. 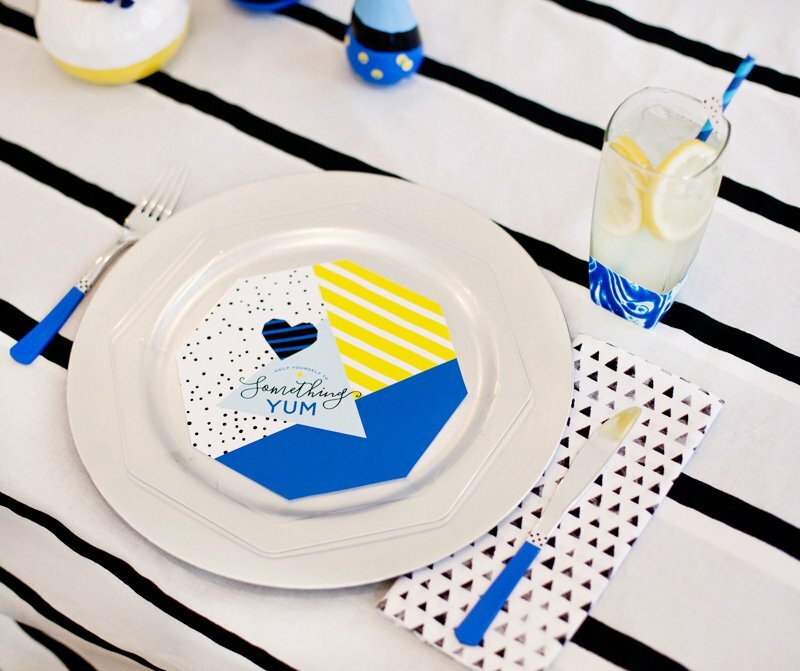 Table linens are a great place to introduce pattern. Don’t be afraid to think outside the box if you can’t find the exact type of linen that you need right off the bat. This striped “tablecloth” is actually a (brand new) queen sized duvet from Ikea, and the triangle print napkins are squares of inexpensive fabric that I purchased and cut down to size! 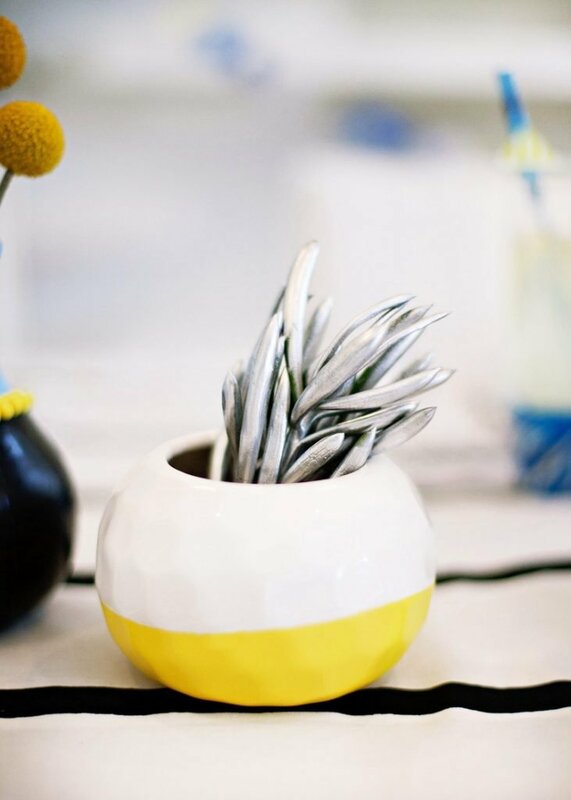 If you shop at affordable places, you’ll often find that it’s even less expensive to purchase these outside-the-box “linens” than it would be to rent traditional ones! 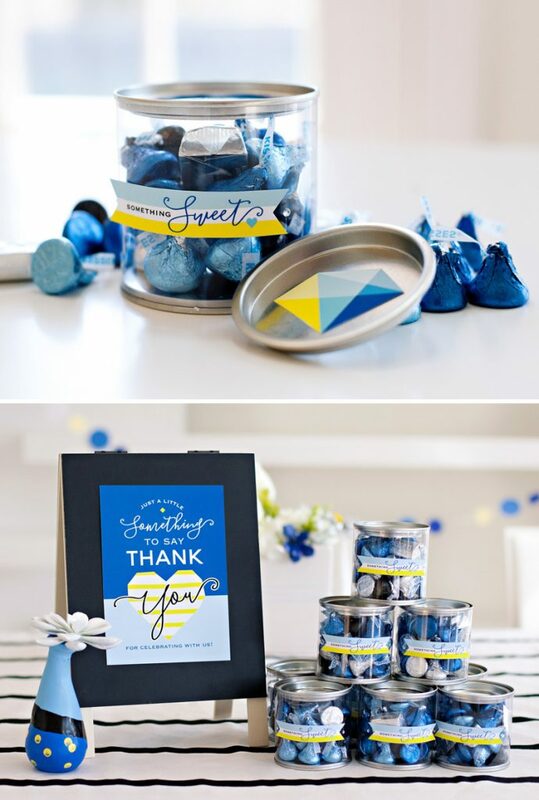 It’s a good idea to thank your “Something Blue” guests with something SWEET on their way out, and what could be sweeter for a bridal shower than chocolate Kisses, right?! 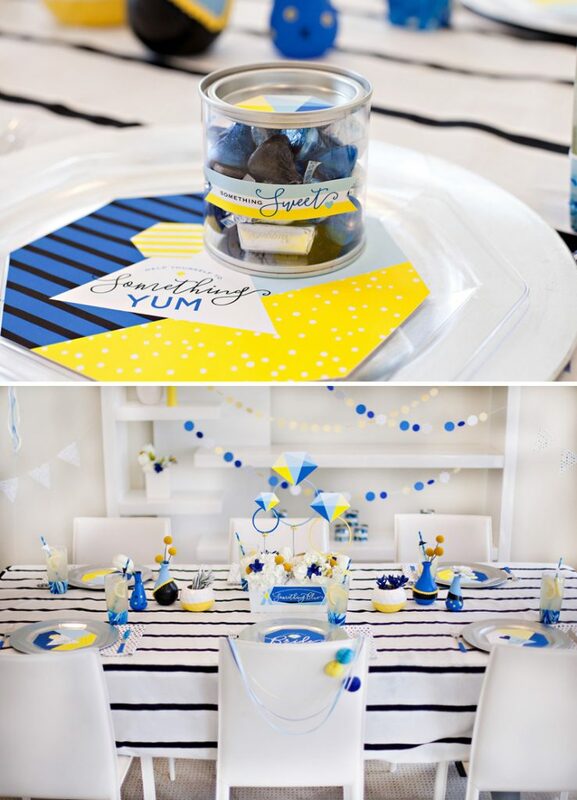 To create these party favors, fill 3” clear tins with a pretty mix of Dark Blue, Light Blue, Silver, and Black Hershey’s Kisses + Silver Nuggets. 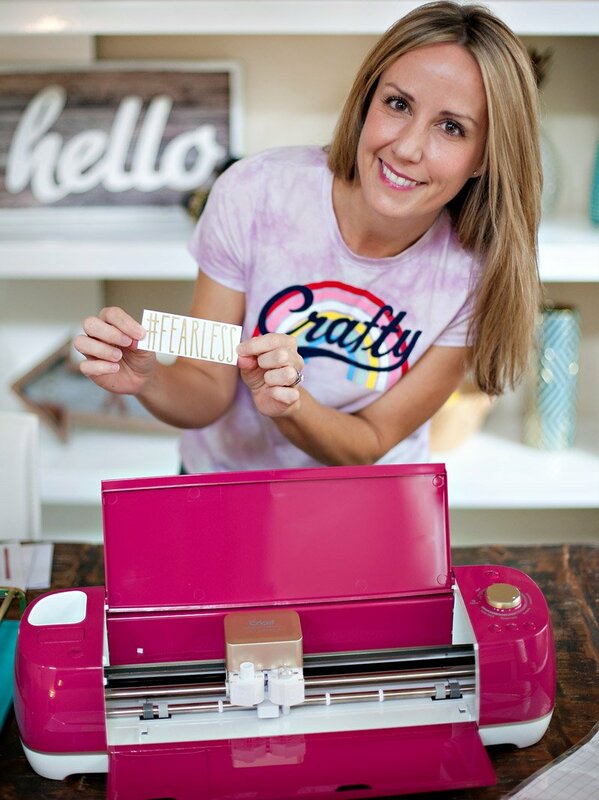 Use double-stick tape to attach a paper gem to the lid and a “Something Sweet” banner to the front of each container. 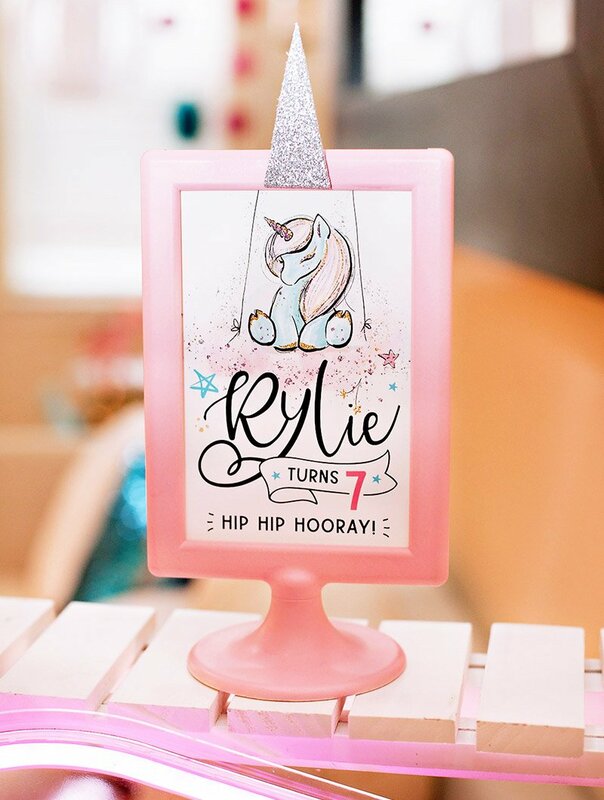 Add tiny rhinestone stickers for extra sparkle! Display the finished favors next to a printable “Something Sweet to Say Thank You” sign. 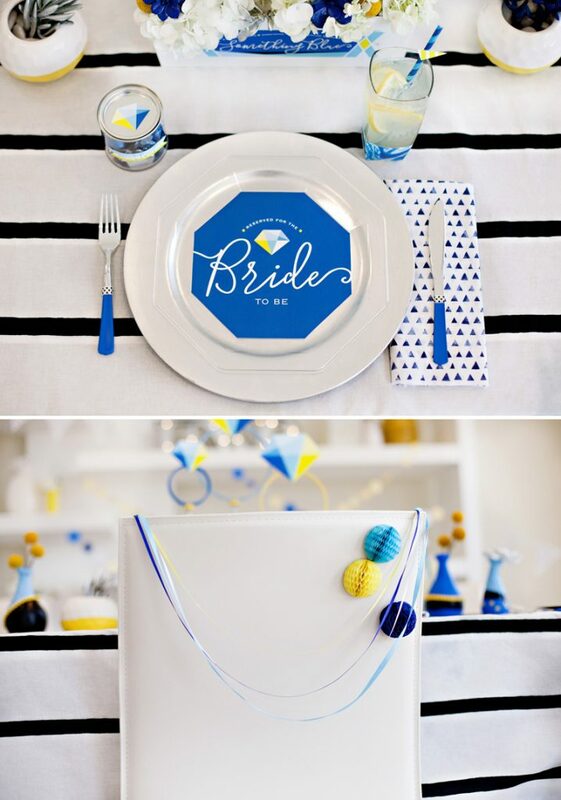 Make gift opening time a fun activity for the entire party by playing Bridal Bingo! Pass out printable bingo cards, pens, and sets of 5 Hershey’s Kiss “game markers” to each person before any presents are opened. Ask them to fill in the blank squares on the card with different gifts that they think the bride will open today. (No duplicates, please!) Each time the bride opens a gift that matches a square on the guest’s card, they can place a game marker on top of that square. The first guest with 5 squares blocked off in any direction wins a prize! 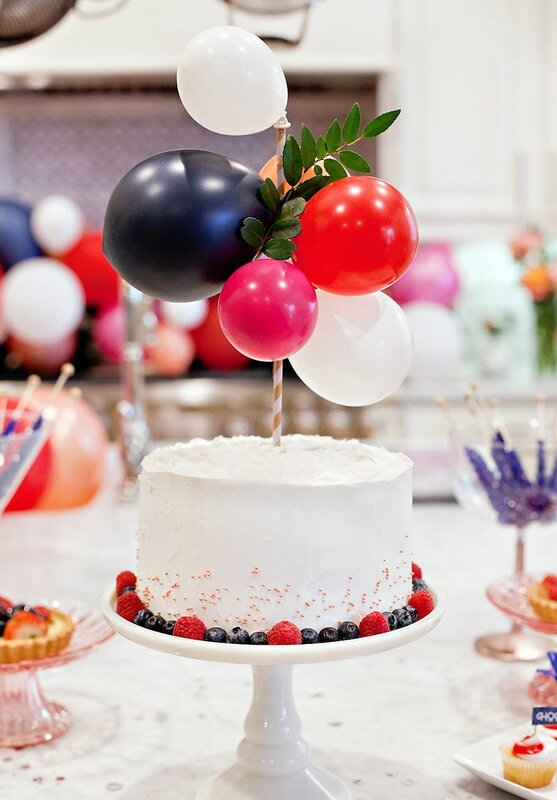 Garlands & oversize balloons are some my favorite types of party decor because they’re quick to create, affordable, and high-impact for your space. 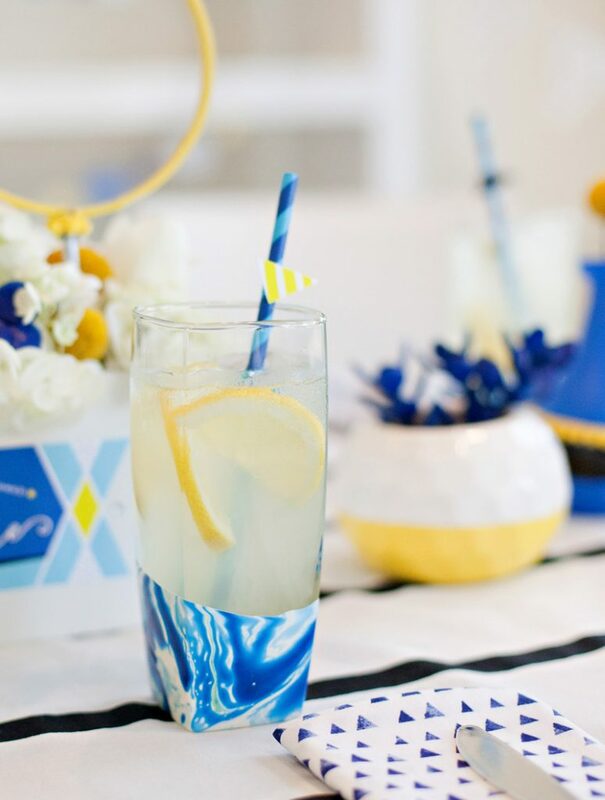 Use printable papers and leftover fabrics from your Something Blue table to cut or punch out simple shapes. 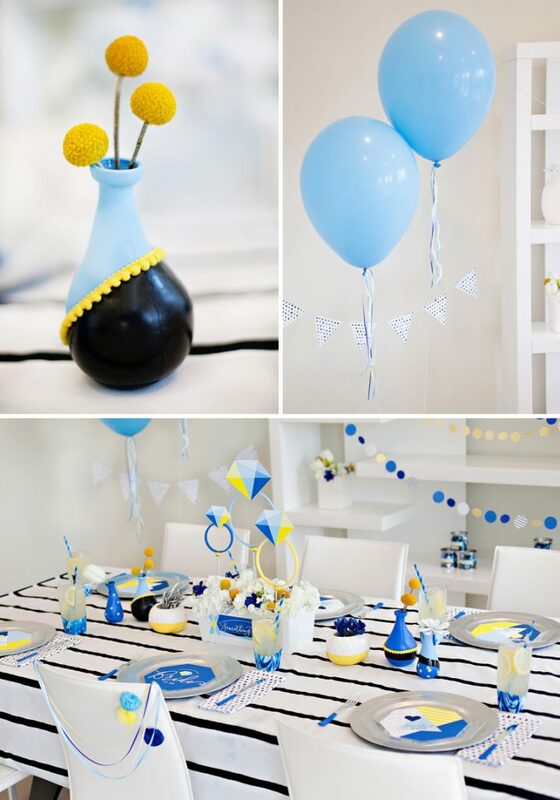 Hot glue the shapes to string or twine and make your own circle garlands, triangle banners, and more! 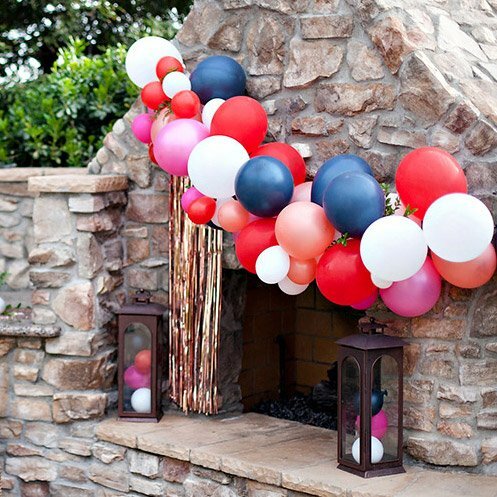 Give giant balloons (24” to 36”) a stylish twist with chic tassels made of lightweight ribbons and trims. 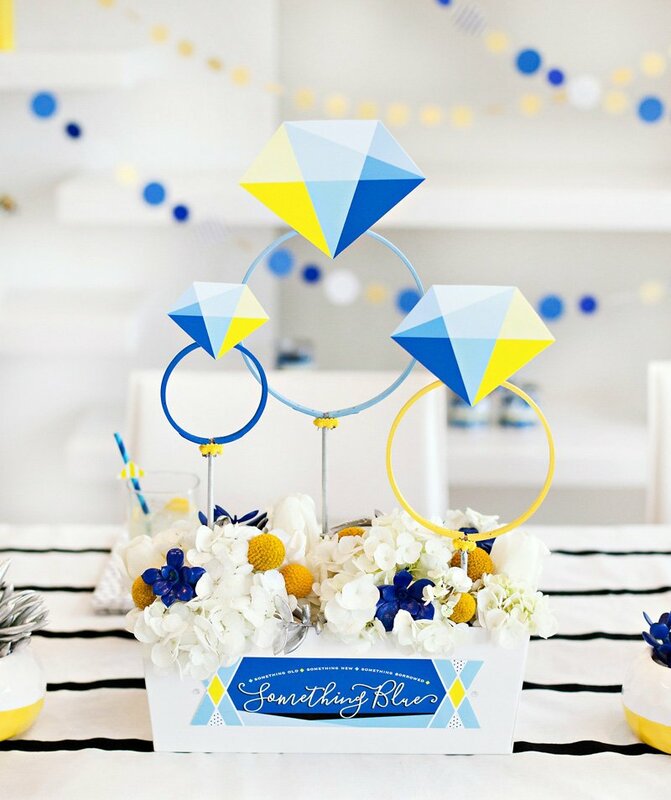 Can you PLEASE send me the printable “something blue” horizontal piece PDF that is printed on the flower box center pieces? that is the only thing I am missing to make my party great. This piece ties everything together. 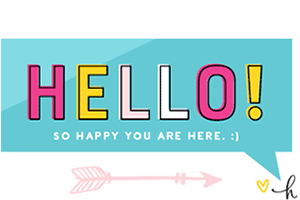 Hi Linda – I’ve just updated the links! Not sure why my link shortener domain isn’t working anymore :0 – but in any case, you should be able to use the links now or just copy/paste this into your browser: https://www.dropbox.com/s/gu63pogns3jedvp/Something%20Blue%20Printables%20by%20HWTM.zip?dl=0 Hope that helps! Thank you very much for your work! I was able to download. :) Those printales as all others in your blog are amazing!